Writing ads for Google Adwords sounds as trying to fit a large cube into a small sphere. How does Google expects marketers to meet both customers’ and business owners’ desires and expectations in just 130 characters? On one side – the customer seeks for a solution to their problem, on the other side the business owner wants to tell their story to differentiate themselves from their competitors. Writing PPC ads is definitely frustrating. Writing PPC ads while keeping them absolutely unique is almost impossible. Having in mind the fact that there are millions of advertisers on Google Adwords staying unique and reaching to your target audience may create some serious struggles. Yet, it’s one of the best advertising channels out there so you must stay in the game. That’s why we’ve tried to simplify ad copywriting and help you keep your conversions and ROI rising. This is how you know what words your potential customers use to find solutions for their problems. They are your best weapon. The initial keyword research is important but you shouldn’t end there. Continue the researches throughout the campaigns and adapt. 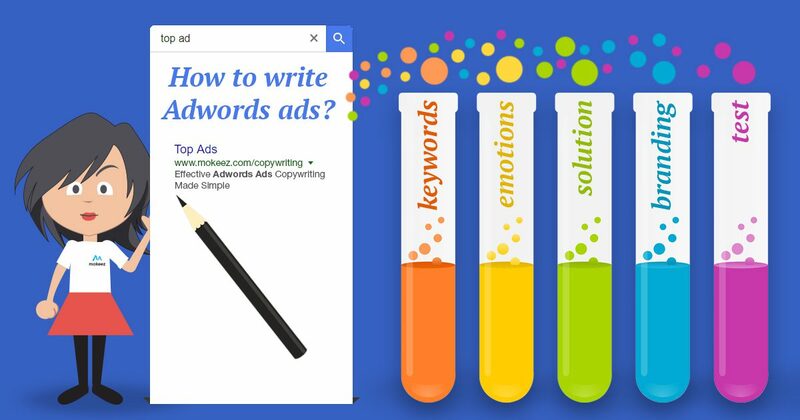 Look for the keywords that convert and include them in the headlines, descriptions and URLs of your ads. Just a simple example which you can test right away – a title like this “$5 Off First Purchase” my convert better than “5% Off First Purchase”. Don’t forget that sometimes less is more. A single character may change things a lot. If one of your goals is brand awareness then placing your brand name in the Headline 2 part is a must. But even if you’re not after getting famous it remains essential as it helps your business establish a deeper connection with your potential customers. You know, people tend to contact with those they know. Branding also makes you appear more human and builds trust. Don’t overdo the branding. Tell about the benefits your potential customers will get from you not about yourself. Yes, people love stories but not on PPC ads. They are short so you should use what you’re given wisely. It’s always better to tell potential customers what they’ll get from you in the first place and continue to tell them your story on a later stage. Their search is triggered from a problem, a need which requires a solution. Give it to them. Google Adwords gives you the opportunity to customize the URL path of your website. Don’t leave it with random characters. Utilize it, make it easy to read and memorize. It will look more genuine that way. It triggers urgency. Tell potential customers that a specific deal ends in five minutes and see how they react. Usually, countdowns create the feeling of urgency and that you’re somehow missing a really great opportunity and it will never come back. For example, the flight ticket special offers – “Travel to Japan for $10 – offer ends in 5 mins”. Well, now think of those who want to travel to Japan and the deal really can’t be missed. Try to outstand your competitors but don’t be too harsh. Always use the specific keywords your target audience uses to find you and strive to provide them with the solution they need. Keep it simple. Research your audience and learn who they are. Usually, those with way higher incomes think about the price on a later stage. For example, the luxury sector – the target audience usually consider the price at the very end right before purchase. However, if your target audience has way lower income the after defining their need will be how much they’re willing to pay for the solution. 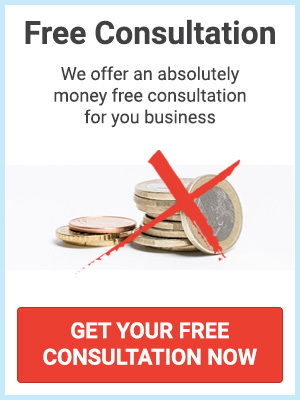 In such case, it might be useful to put some numbers in the ad so you can avoid useless traffic and save money on unimportant clicks. It is really important for the landing page to respond to the expectation your ad creates in the customer. Said in other words, if the ad says “buy red shoes for $15” then the landing page should show read shoes for $15 and has a visible and easy-to-find call to action. Never stop testing and optimizing. Things change, people’s intensions change leading to change in their search behavior. That’s why it’s important to test, optimize and adapt. This will keep your conversions high, the marketing budget in its limitations and your business in the game. There’s no single formula for the best Adwords ad. It’s all about testing, measuring and validating results. If it works, keep it until it works but continue testing new ideas in the meantime because the first one will stop working at some point. Contact us and we will create awesome ads for you !